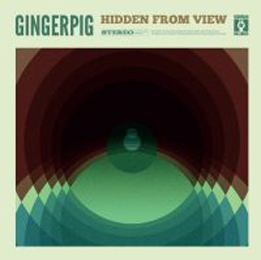 The Dutch outfit Gingerpig totally awed me with their debut The Ways Of Gingerpig in 2011. Now they are back with its successor Hidden From View where they continue to play their mix of blues and hard prog rock full of variety. They often change the pace and are not afraid of more playful, jazzy or dramatic parts. My favourite songs are “Oceans” and “Pride” that even sport a certain psychedelic latin atmosphere. Other standout tracks are “Run”, reminding me of a Ten Years After with Hammond organ and the complex “Backlash”. I find myself wishing the band would break out into jammin’ and freewheeling a little bit more but that's clearly not the style they're looking for on this album, but I have to admit it is definitely well-done and should appeal to people looking for a pretty interesting blend of hard blues and prog rock.